Aja is excited to be working with Kokandy for the first time! She has previously worked with the Steep (Hookman), Hypocrites (Cinderella at the Theater of Potatoes), Goodman (Teddy Ferrara (u/s)), Griffin (Spring Awakening), Haven (The Wedding Singer), Profiles (After.(u/s)). 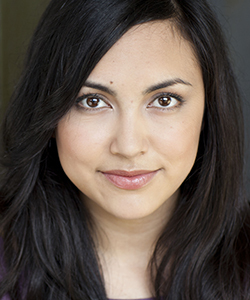 Aja is an ensemble member with The Hypocrites, a company member of AstonRep (Closer, Next Fall, The Lyons) and founding member and Marketing Director of Adapt Theatre (Pride and Prejudice). Aja is represented by Stewart Talent.